Amelcc is using Smore newsletters to spread the word online. 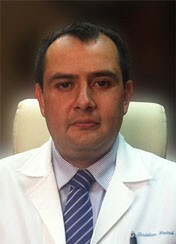 MEDICO CIRUJANO EGRESADO DE LA FACULTA DE MEDICINA DE LA UNIVERSIDAD NACIONAL AUTONOMA DE MÉXICO. INCURSIONÓ EN EL REMPLAZO HORMONAL BIO-IDÉNTICO EN HRC MEDICAL CENTER COMO MEDICO TRATANTE Y POSTERIORMENTE COMO SUPERVISOR EN EL AÑO 2009 PREVIA CAPACITACIÓN CON EL DR. DAN E. HALE, PARTICIPACIÓN EN HAIR FX MÉXICO (RESTAURACIÓN CAPILAR) POR UN LAPSO DE 2 AÑOS. POSTERIORMENTE APERURA EL CENTRO DE REMPLAZO HORMONAL CHRISTIAN MADRID Y ASOCIADOS ; CON CEDE EN LA MONTERREY, NVO. LEÓN Y CON SUCURSALES EN LAS CIUDADES DE MÉXICO Y QUERÉTARO. EN EL AÑO 2011 INGRESA A LA AGENCIA DE PROTECCIÓN SANITARIA DEL GOBIERNO DEL DISTRITO FEDERAL, ADSCRITO A LA DIRECCIÓN DE SERVICIOS DE SALUD Y CUIDADOS PERSONALES, FUNGIENDO COMO RESPONSABLE DEL PROGRAMA DE VERIFICACIÓN SANITARIA DE LOS ESTABLECIMIENTOS DE MEDICINA ESTÉTICA EMBELLECIMIENTO FISICO DEL CUERPO HUMANO Y ACTIVIDADES DIVERSAS EN COLABORACIÓN CON LA COMISIÓN FEDERAL PARA LA PROTECCIÓN CONTRA RIESGOS SANITARIOS. PARTICIPACIÓN EN EL TALLER DE REMPLAZO HORMONAL DE HORMONAS BIOIDÉNTICAS REALIZADO EN LA CIUDAD DE MÉXICO EN SEPTIEMBRE DEL 2012, ORGANIZADO POR LA AMERICAN ACADEMY OF ANTI – AGING MEDICINE.